THC Bomb. I ran out of twist tie so used some bonsai wire I had around. Easy week. Watered with a moderate strength nutrient solution. removed some foliage to allow for good air flow. At this point I have stopped removing new side growth. In a couple weeks or so I will remove some of the weaker growth but I have pretty much finished with the major pruning. 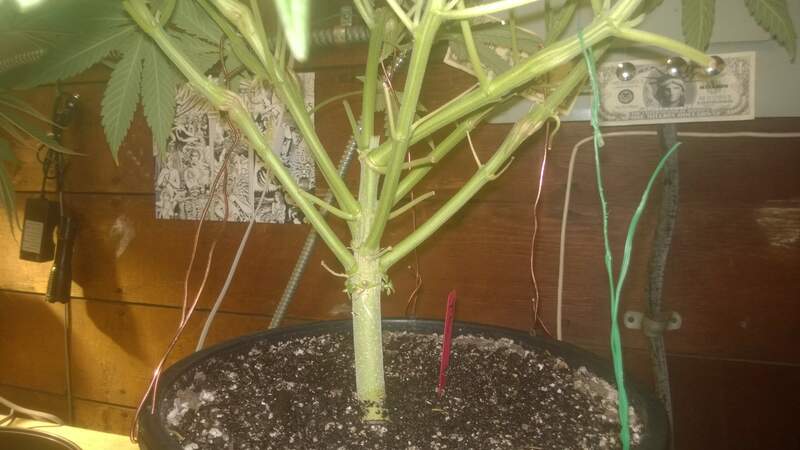 I had a small amount of light burn on a couple of leaves so I raised the lights a few inches. 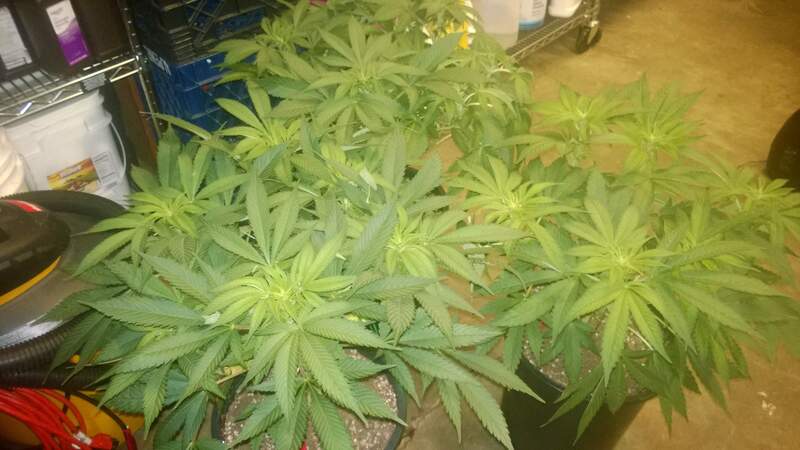 Aside from this plants appear very healthy and green.